Past clients include NBC Universal, Dreamworks, Hallmark Entertainment, USA Cable, Spyglass Entertainment, CBS Studios, Rat Pack Film Production, Constantin Films, Pathe Films, Darlow Smithson Productions, and Discovery Channel to name a few. The story was last bought to the big screen in 1973 starring Steve McQueen and Dustin Hoffman.​ Directed by Michael Noer (Northwest, R) and scripted by Aaron Guzikowski (Prisoners, The Red Road), PAPILLON stars Charlie Hunnam (King Arthur: Legend of the Sword, The Lost City of Z, Crimson Peak) in the title role, with Emmy Award winner Rami Malek (Mr. Robot, Paul Thomas Anderson’s The Master) as Louis Dega. 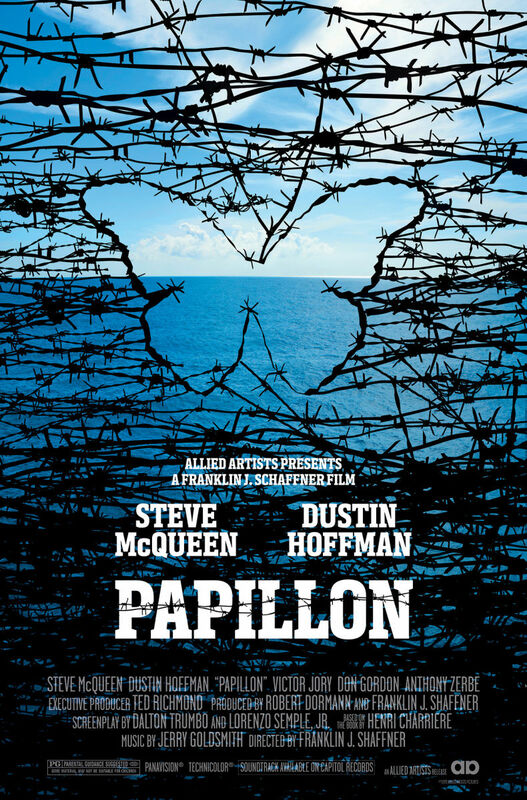 Based on convicted felon and fugitive Henri Charriere’s best-selling 1969 memoir, the film tells of Charriere’s daring escape attempts from the brutal French penal colony of French Guiana where he had been unjustly sentenced for murder. 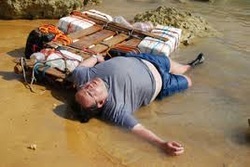 "I Fantasmi di Portopalo" This mini-series for RAI TV features Italian star Beppe Fiorello and is based on the true story of the 1996 tragedy which took place in the Mediterranean where 283 illegal immigrants lost their lives. Certain details of the true event are still shrouded in mystery to this very day. Line-produced by Antonio Stefanucci. Directed by Alessandro Angelini and produced by Roberto Sessa. A Picomedia production for Rai TV. ​Directed by Yves Simoneau and produced Roma Downey and Mark Burnett for CBS. This two-part mini-series tells the amazing true story of three women during the persecution of the Jews by the Romans 2000 years ago. They retreated to the Masada, a high walled city on top of a mountain, to avoid a Roman attack. 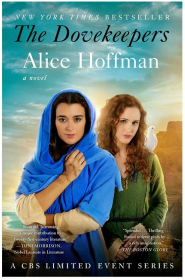 Based on the book by Alice Hoffman, this series was largely filmed in Malta with some establishing shots taken in Jordan and Israel. Directed by Gautham Vasudev Menon. A Tamil movie - the first Bollywood (aka Kollywood) feature film to be shot in Malta. Staring Trisha Krishnan and Tesingu Rajendar Silambarasan. The songs as well as some dramatic sequences were filmed all over the island of Malta as well as on Comino island. Alexander, the King of Macedonia and one of the greatest military leaders in the history of warfare, conquers much of the known world. Directed by Oliver Stone and produced by Warner Brothers and Intermedia. Visual Effects Unit was filmed in Malta under the supervision of Oliver Stone. The PCP prepped from Pinewood Studios in UK. Directed by Michael "Bully" Herbig.Produced by Rat Pack Filmproduktion and Constantin Films (Germany).A live-action film based on the popular cartoon. Vicky is a viking-boy who lives with his parents Halvar and Ylva in the small village Flake. He is a typical viking boy, but rather fearful. He is also not very strong but smart. One day he sails with the grown up vikings out to the sea and to experience a great and funny adventure. Starring Tomer Sisley and Kristin Scott Thomas. 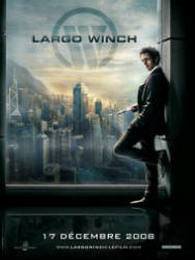 Produced by Pan-Europeenne Films (France).Based on the popular cartoon Largo Winch, the film is France's most challenging film endeavour for 2007 with a budget of 25m Euros. Directed by Jerome Salle. A young man, Largo, inherits one of the world's greatest fortunes after a billionaire purposely adopts him when he was still a toddler. When the billionaire is murdered Largo finds himself in a race against time to save his life and his father's empire, as he meanwhile struggles to accept his own identity. Starring Sharon Stone & Rupert Everett. 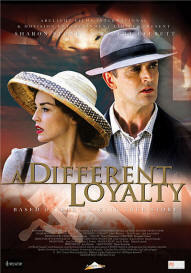 Distributed by Lion's Gate Films.Set against the backdrop of Cold War espionage, A Different Loyalty is a highly suspenseful romantic drama, which examines the extremes that two people will go to in the pursuit of their love and their beliefs. 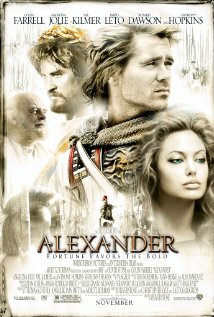 Feature starring Jim Caviezel, Guy Pearce & Richard Harris. Produced/distributed by Spyglass Entertainment. 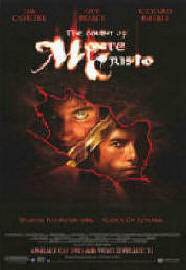 The Count of Monte Cristo' is a remake of the Alexander Dumas tale by the same name. The film stars Jim Caviezel as Dantes, a sailor who is falsely accused of treason by his best friend Fernand (Guy Pearce), who wants Dantes' girlfriend Mercedes (Dagmara Dominczyk) for himself. Dantes is imprisoned on the island prison of Chateau D'lf for 13 years, where he plots revenge against those who betrayed him. With the help of another innocent prisoner (Richard Harris), he escapes the island and proceeds to transform himself into the wealthy Count of Monte Cristo as part of his plan to exact revenge. 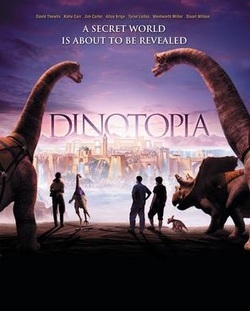 The groundbreaking Hallmark miniseries Dinotopia is the story of two troubled brothers who are marooned on a hidden continent called Dinotopia. What they discover is a mysterious and remarkable world where dinosaurs and humans live together in peace and harmony, influenced very little by the outside world. 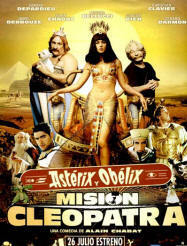 Starring Gérard Depardieu, Monica Belluci, Alain Chabat. Distributed by Pathe Films. The renowned writer & researcher Giorgio Tsoukalos explores myths and legends related to Malta and Gozo's historical sites. 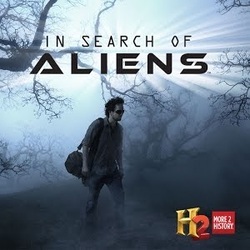 He traveled around the world in search of evidence that might prove outer-space beings have had contact with Earthlings. HistoryChannel/Prometheus. Dramatic sequences of two entire episodes "Marooned" & "Adrift" were filmed in Malta for Discovery Channel / Darlow Smithson Productions. "I want to say a very big thank you for our Malta experience. We are leaving very happy with the material we shot here. Look forward to being in touch moving forward." "After few months, with pleasure I want write to you how it was good to work with your company (PCP), always next to me in any moment of the production time. I had always rights advise from you in terms of choose the good people in the crew and best solution to shoot. A special tank to Maltese production and crew, chosen people and suggested by you. Sincerely I hope to come back one day and to work with you again." "Thank you so much for all your hard work on this project. I know that our challenging budget has always meant that things have never been easy but I'm incredibly grateful for your 'can-do' attitude and your ability to put together such a successful and hard working team. The results have been fantastic and I know that our director Russell is as incredibly pleased with what we've achieved as I am. Its been a pleasure working with you"
"It was really nice to work with you - I hope we can do it again some day!" "Thank you for a very well organized shoot and the support of a highly professional team." "I will certainly remember Malta for the warmth of the local people; and the sharp organisation of PCP made shooting in Malta a relevant production choice." "It was an extremely well organized operation from the start and one which allowed me to feel secure in the knowledge that the production was being handled in the most efficient and cost-effective way possible"
"The crew was run very efficiently and all deals with the local facility companies were to our agreed budget." "We went all over the place (in the world) to try and find the best location, but it was really here that we found what we were searching for... a mix of the old and the new, something with some kind of a deep oriental feeling to it, and we got all of that here"
"Malta is inexpensive and the labour is good. Not only that, the locals are just plain fun. It's been a case of home away from home here"
Guy Ritchie, director of "Swept Away" starring Madonna.